No reassurance shield as 66 splits from 69, and we’re 23 miles from Evansville. 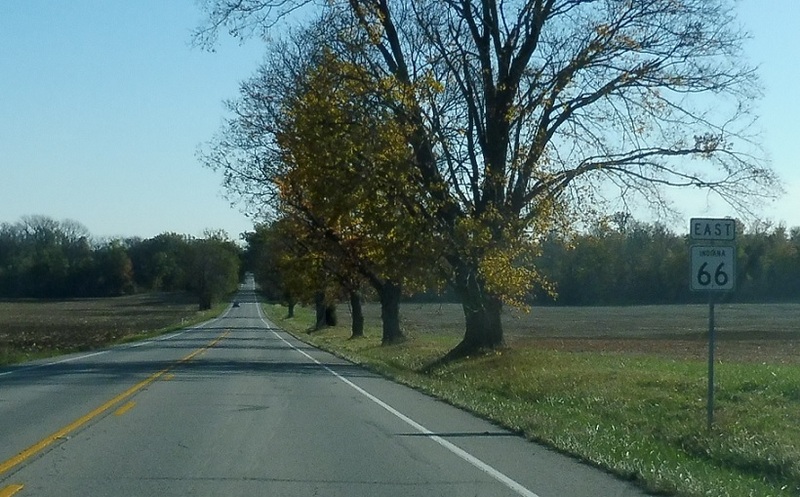 A couple miles later, as we enter unincorporated Wadesville, turn left to access SR 165. Around the corner, we’ll formally approach 165. 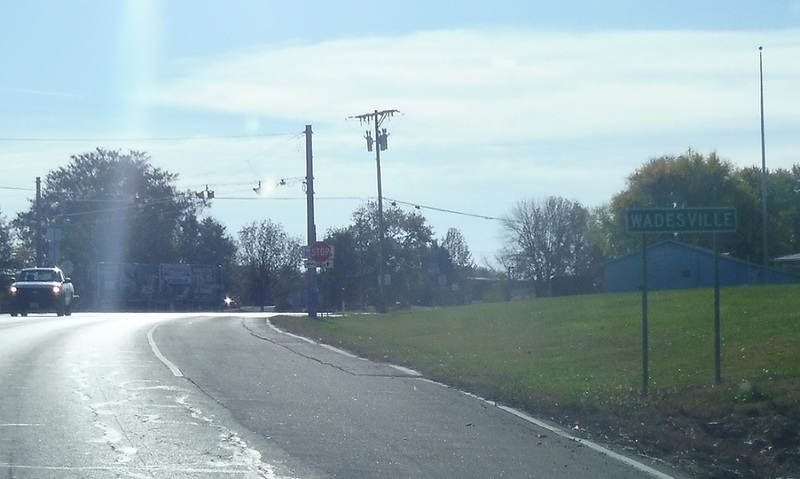 A couple hundred feet later, we’ll enter Wadesville. 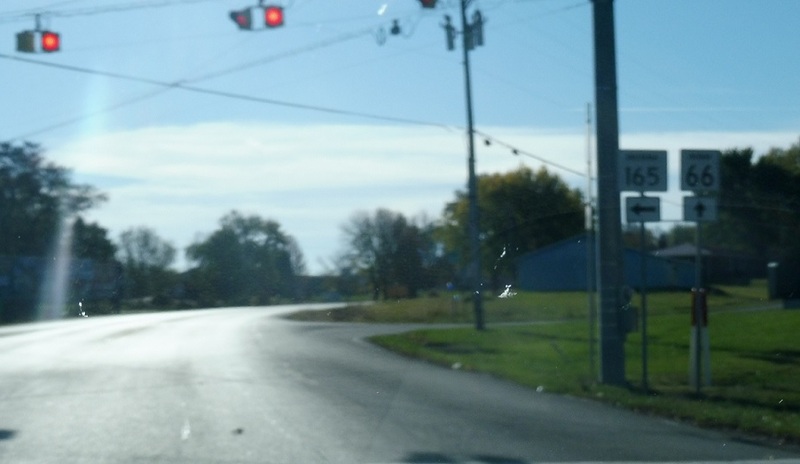 Turn left for 165 north to Poseyville. 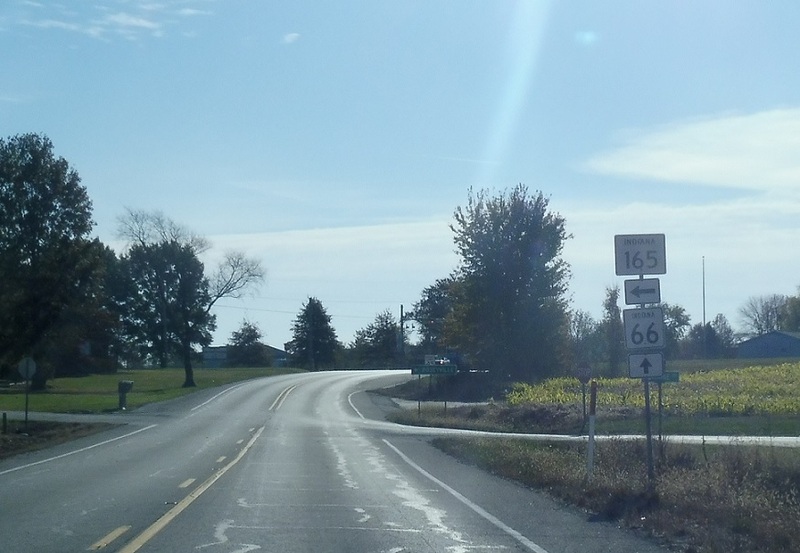 Stay straight to stay on 66.